Description: It's a Yiddish thing. You wouldn't understand. Even if you spoke Yiddish probably. 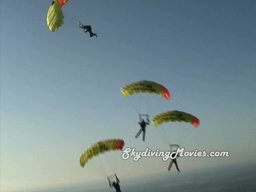 A skydiver loses a shoe and decides to chase after it.